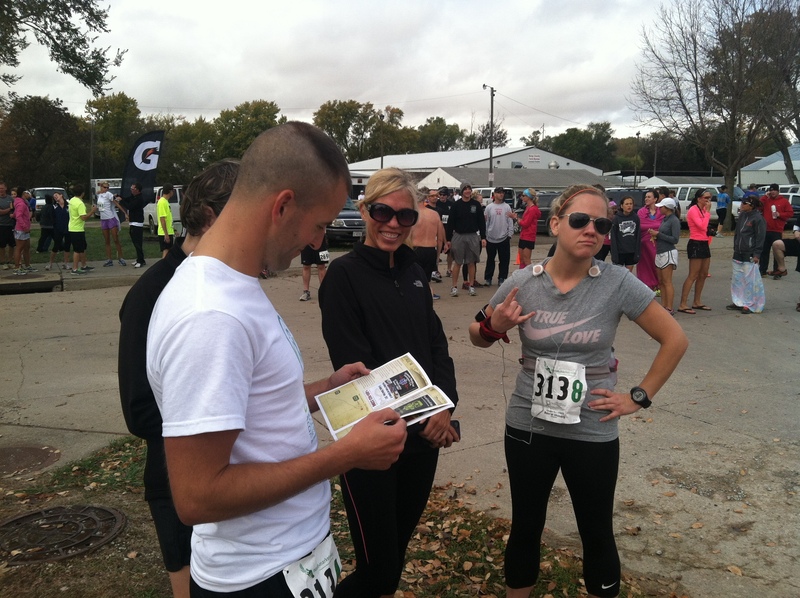 What a great weekend for running in Nebraska! Team Freaky Fast Strategy Session! 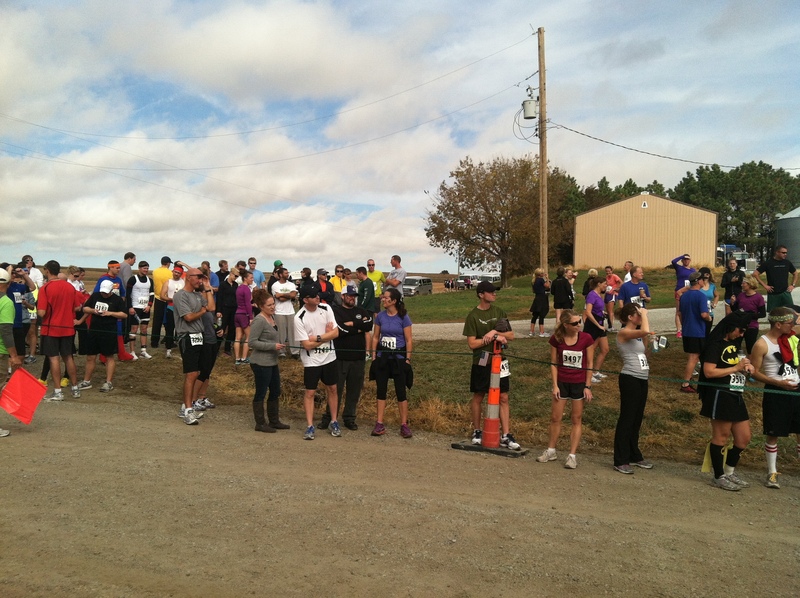 Market-to-Market Relay (78 miles, 400 teams over 3,000 runners), Market-to-Market 50k (300), Double Half Mary (300total), Monument Marathon – 5k (400), Pumpkin Run in Lincoln (1,000 kids!) – 5,000 Total! Running is something to experience NOT watch. We will never draw the numbers on the TV. We do absolutely kick booty for the in-person, life long experience. My piece of weekend of racing was a part of the Freaky Fast Mixed team – a group of eight fun, freaky and sometimes fast people – two guys, six gals! In addition twenty other Freaks were interspersed on six other teams! The eight person teams leaped through two or three legs, covering 3 to 5 miles at each leg and 7-11 miles for the day. The scenery was stunning at times – yup even for Nebraska that can happen. The camaraderie among teams and within teams was inspiring. Need a little get in your “getty-up”?! Jump in on one of the exploding relay events, tough mudder, something that connects you with other people! The family community feeling will transcend your own little team – you’ll see it in waves throughout the event. One of the “misty eye” moments for me was just soaking in the mass merge of runners of all stripes at relay leg 16. It was near one of our dear long running routes on 162nd Street on the Mo-Pac trail. Typically you’ll see a couple of runners or groups, cyclists and maybe a walker or two. At this transition point, as later groups caught up with earlier start groups, several hundred people squeezed into a rural road and cheered their hearts out for everyone and anyone. Simply amazing!